In this December/January’s issue of the RICS Conservation Journal, Dr. Robyn Pender, Historic England’s Senior Architectural Conservator discusses ‘Holistic Histories’: how looking to the past could inform future building use. She mentions our Partner Sarah Khan’s research at the Grade I listed Architectural Association in Bedford Square as an example, where Sarah re-introduced some historic original elemnts that had been lost, to improve the environmental performance. Some elements successfully re-intoduced were external awnings for shading, gauze curtains for glare control, and mock-tapestries for insulation. Robyn concludes that active participation of ocupants in essential while introducing energy-saving measures (as was done in Sarah’s research.) She asserts that building performance experts should also receive training conservation. 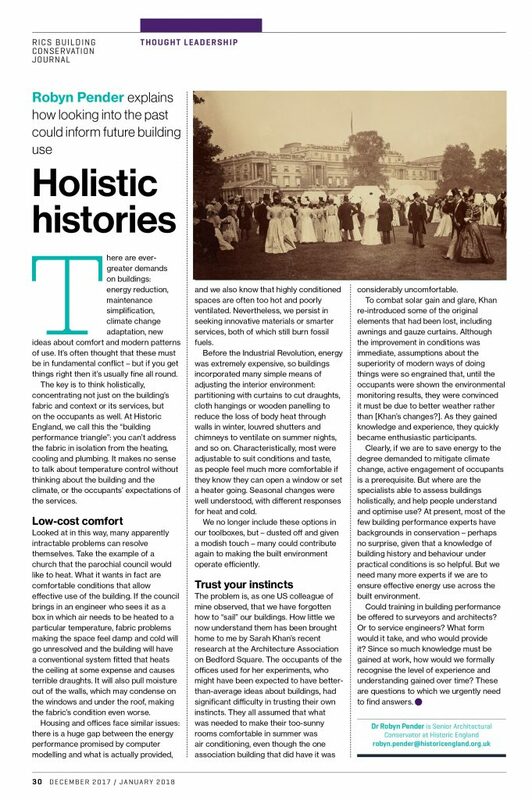 RICS Journal December 2017/ January 2018: Holistic Histories Article by Robyn Pender. 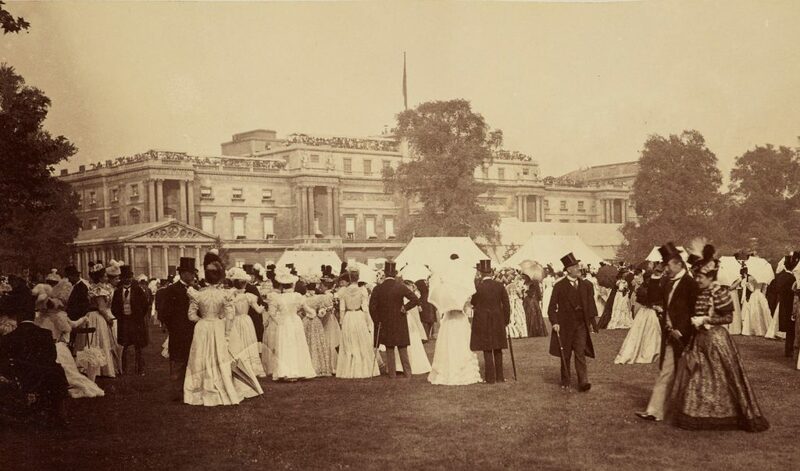 Queen Victoria’s Diamond Jubilee Garden Party at Buckingham Palace. Image shows external awnings on windows.